TOPICS Theory Session 40% , On the job Lab/ Hands on training 40%, Evaluation of Projects and Standards presentations 20% on an average. b. Element of flow Technology Management, Method validation. c. Hands on experience on calibration of fow meters like orifice, venturi, Turbine flowmeters, Ultrasonic Flowmeters, DDM, Electro Magnetic Flowmeter, Magnetic Flowmeter, Vortex meter etc using water/ oil / air media, Calibration of CNG mass flowmeters, Methods validation. d. Testing of valves, safety valves and related pipeline products, air release valves,Calibration of PD meter for Oil application. 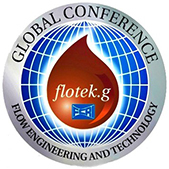 Flow Measurement in Single phase fluids: Principles and types of Llinear& Non-linear Flow meters, Differential pressure based flow measurement devi ces,Inline and insertion flowmeters for conduits and closed ducts: Turbine Flow meters , Positive Displacement Flowmeters , Vortex Flowmeters , Ultrasonic Flowmeters Coriolis Mass flowmeters,Thermal Mass flowmeters, Fluidic Oscillation flowmeters, Open-channel flow measurement methods. Measurement of Multiphase flow, Flow measurement in large diameter pipes and Hydro-power penstocks, Introduction to Particle Imagery Velocimetry (PIV), Laser Doppler Velocimetry (LDV) and Hot-wire /Hot-film anemometers, Installation effects for various flowmeters, Selection and sizing of Flow meters for various Applications, Piston Provers and Bell-provers. Instrumentation for Secondary parametersin flow measurements: Pressure, Temperature, Density, etc. Calibration methods and systems for transducers /sensors for Pressure,Temperature, Density, etc. Electronic Process Transmitters, Smart transmitters.Level Measurement and Tank Gauging principles and practice.Gas Chromatography. Digital Multimeters, Cathode Ray Oscilloscopes, Paper and paperless Recorders, Timers and Frequency meters / Counters, Electrical signals and parameters:Voltage, Current,Power-factor, Frequency and Power.Multi-function Calibrators.Trouble-shooting of Electronic systems, Loop-checking,trouble-shooting signals from flowmeters. Data Acquisition Systems (DAS), Graphical Interface (GUI) Software for DAS, Supervisory Control And Data Acquisition (SCADA),RTUs and PLCs, Ladder Logic Programming concepts for PLC, Introduction to programming in NI-LabVIEW, Distributed Control System:principles, history, architecture. Data Loggers and Remote data acquisitions systems.HART and Fieldbuses, Digital serial communication (RS232C, IEEE-488, USB, etc. ), Interfacing Test & Measurement Instruments to Computer Using IEEE-488 & RS-232C. Custody transfer flow measurement scenario,Flow metering for Custody transfer of Liquid Petroleum quantities, AGA standards for Orifice and Turbine Flowmeters for natural Gas,AGA standard for Natural Gas compressibility calculations, Custody TransferAccuracy and Contractual needs,Compact volume provers/ Pipe-proversfor custody transfer applications, Flow Computers for Oil & Gas Flow Custody transfer.Tank Gauging and Tank Farm Management system.Inspection and Auditing of Natural Gas Custody Transfer Installations.Dispensers for Petroleum and Compressed Natural Gas and Testing of Dispensers. Piping and Instrumentation diagram for flow measurement and control in water distribution system, DCS, PLC, SCAADA, Wiring, programming. TARGET GROUP Technical Personnel in Electronics, Instrumentation, Electrical, Industrial Engineering working in Oil & Gas industry, Process Industries and related field can apply. Participants may be from industry, R&D organisation or Academic Institutes or Govt. Officials.